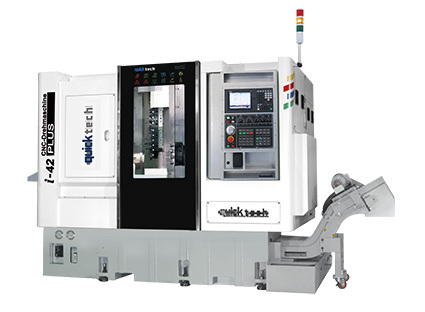 This CNC turning machine is capable of running two NC programs simultaneously. A total of 18 tools (6 of them powered) is designed to work on complex work pieces. Simultaneous machining is possible from the outside as well as from the inside. Depending on the work piece, the working time can be reduced up to 50%. Both spindles are cartridge type which runs on P4 high precision bearings giving high rapid and axial stability, allowing for heavy duty cutting. 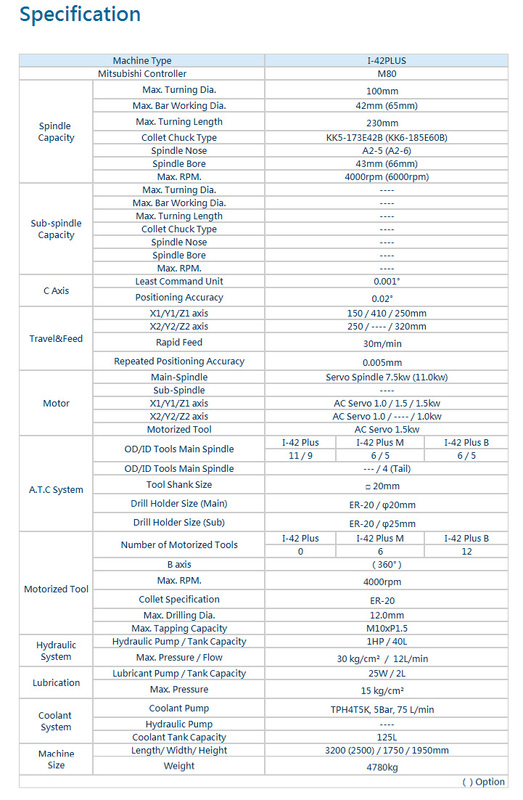 The spindle is assembled and tested in a temperature controlled clean room, sealed and requires no maintenance. Copyright © 2019 QUICK-TECH MACHINERY CO., LTD. All right reserved.